Last June 17 — about fourteen weeks ago — I was dizzy, and visited the emergency room of a local hospital here in Maine. Twenty-four hours later I was diagnosed with stage four pancreatic cancer, metastasized The doctor who gave me the news said I might have a year to live, if I was lucky. I had no idea I was ill. I’d spent the past several years caring for my husband, who’d died April 9. Since his death I’d updated my legal documents and taken care of my husband’s estate. I’d planned to spend the rest of 2018 catching up with writing deadlines and settling into a new normal. A great find, one new writer’s take of beta readers. Me again! I’ve navigated another uncharted institution like Indiana Jones making his way through the catacombs in The Last Crusade (if you don’t get the reference I’m not sure how we can be friends). My latest adventure has been with beta readers. I’d like to share what I’ve learned. Finding beta readers isn’t easy. Be persistent. Ask other writers to read your work, but be prepared to reciprocate. Check out beta reader sites on Facebook and Goodreads. 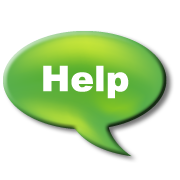 Find other writers who might know beta readers who are interested in your genre. Post requests on any sites you belong to that allow it. If you ask, they will come. December – a month to get going with your writing. After following them on some TH YouTube videos I contacted Iron Eagle Trailers of Portland Oregon. I was quoted for a basic 18 foot tandem axle trailer with two other custom items in the build, and it came to a tidy amount $700 less than I expected (based on my projected expenses during the “what if…” portion of creating a list of items to research). The great guy at Iron Eagle Trailers, who I contacted on their toll-free number, was more than helpful. $700 less! Whoa. Success at Step One was very heartening! Now, I just needed those trailer funds by no later than mid-September. This is EJ Runyon’s Bridge to Story ‘Tiny Brainstorm’ blog. ‘ltlxltl’, I had a license plate once that read that – Little by Little. This is a Tiny House on Wheels project build, bringing coaching and story editing from my Bridge to Story workshop space to your town, or even your door. Great for writing groups, senior center events, homeschooling visits, one-on-one intensives… you name it. Soon to be roamin’, teachin’ & fixin’ yer writin’ -wherever you may be in the lower 48.
http://www.ej-runyon.com/blog – for blog posts about my Books & Author news. Well, It’s finally up and running. 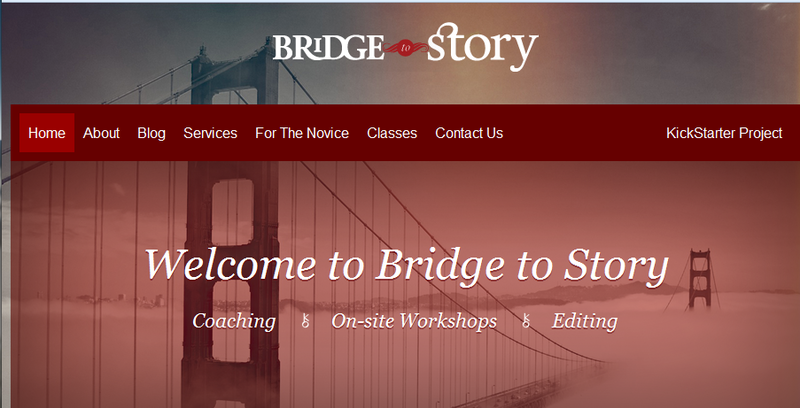 A new version of my ‘Bridge to Story’ website will now include a blog dedicated to creative writing and my coaching. So this WP blog, ‘E.J. 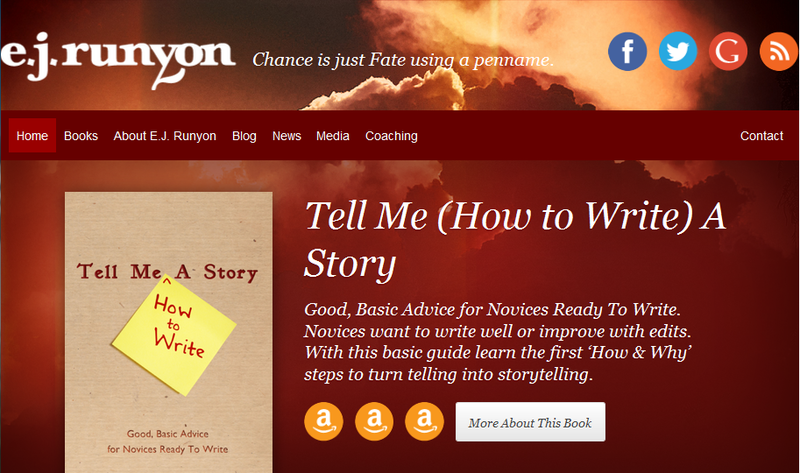 Runyon’s Author’s Blog’ is being re-potted over there. Where I hope it will grow into something even more beautiful. One-by-one these WP posts will migrate to the new site, so you won’t lose any good, basic writing advice that’s been posted here. The Bridge to Story blog’s url is www.bridgetostory.com/blog And I hope to see you there. Hopefully you’ll want to follow both blogs. And of course to do that you’ll need to re-follow over at those sites, or on Twitter. I love both sites; they are fuller and more engaging than this site has been and I hope you’ll enjoy both and tell your friends about them. For some of you recent followers, it may be brand new. Either way, feel free to re-blog it or post a comment. Happy Writing everyone. Want to reach me for coaching or edits?